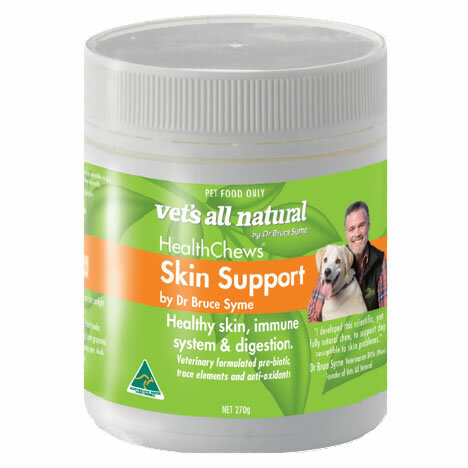 Vets All Natural Skin Support HealthChews are a tasty nutritional supplement to support your dogs healthy skin, immune system and digestion. A great addition to your dog's daily routine. Skin Support HealthChews ingredients are all natural and include kangaroo, liver, prebiotics, flax meal, colostrum, grape seed, astragalus, and whole herbs.